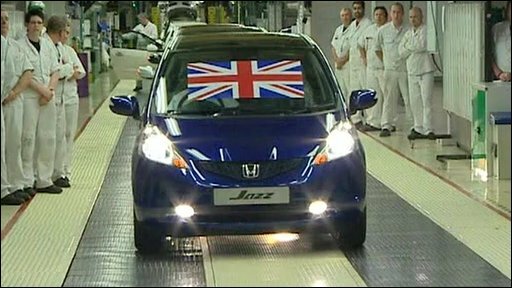 The first British made Honda Jazz car has rolled off the production line after the factory shut down for four months. Until recently, the Jazz was made in Japan and shipped to Europe, but now the Japanese car giant is moving production to its Swindon plant. The factory will make 20,000 Jazz models in the first six months.